Recently, my fellow special needs mom blogger Joy at icansaymama nominated me for a Liebster Award. Joy writes about the ups and downs of figuring out life with a special needs kiddo. If you haven't checked her out, do! 1. Which is the first song on your playlist? It depends on the day. Lately it's "Good Riddance" by Green Day. Not a bad song for big changes. And, yes, I know I'm old. I teach college kids, so you don't need to remind me. 2. Do you like to shop online or do you prefer to shop "offline"? I like to shop online. Beats shopping with three kids any day. Though, if I am being totally honest, the problem isn't the kids. It's the fact that my spouse looks at every purchase as a potentially life-altering decision that must be approached with the utmost care and consideration. Try dealing with that with three kids in tow. 3. Are you a talented singer? Emphatically, no. At least according to my kids who desperately beg politely ask me to stop. 4. Do you like sports? If so, what do you enjoy watching or doing the most? I like playing sports--basketball and tennis are my favorite though I am much older and slower than I used to be, and I'm pretty sure the college kids in the gym expect me to shake my cane at them at any moment. 5. Who is your favourite actor/actress and why? Hmmmm...Proof again that I am lame and not terribly in touch with that new-fangled moving picture thing. 6. Which is your favourite drink? Diet coke. Sorry. 7. Are you superstitious? Nope. Though when I was a high school athlete we all were. 8. Name something you are really bad at. Anything remotely artistic and balancing the check book (does anyone even do this anymore?). 9. Name something you are really good at. There must be something, but all I can think of is "writing a dissertation," which, face it, is not a terribly transferrable skill. Besides, I'm not actually good at it. I just don't have to do it anymore, which gives me the same warm and fuzzy feeling I used to have when I was actually good at things. 10. What is your favourite thing about blogging? Being able to write creatively and to tell all the stories that have been rattling around in my head. 11. What is your worst habit? See number 6. 1. People often assume I'm part Japanese due to my hair color and affinity for Japanese culture. I'm not, but I purposely took my husband's name to confuse nosy-bodies. 2. I once rode a bike 50 miles through the mountains for pizza. 3. As a kid, I thought my middle name was Lid instead of Lynn. I argued at length with my mom when she tried to correct me. Lid made perfect sense since I loved jelly and jelly had a lid. Lynn was ridiculous. I mean, come on, that doesn't mean anything. 4. I have no idea what I am doing. 5. I once locked my brother and his unsuspecting college roommate in the storage shed in a totally (I swear) unpremeditated act of revenge for the until-that-very-moment-suppressed memory of him locking me in the bathroom 10 years before while he ate my portion of the pizza just outside the door. 6. I'm the youngest of four, which may explain a lot. 7. My husband and I met at a hospital in rural Japan. We were both patients (so don't get all Grey's Anatomy on me). 8. I swore I'd never marry a Japanese man. 9. The first time I went to Japan as a high school student, I was so homesick, I cried everyday. To help me feel "more at home," my host mom woke me up at the crack of dawn, so I could listen to the English lesson on the radio. This did nothing to help my homesickness, but even today, I can remember the key phrase that was repeated on the show each morning: "It's winter now in New Zealand, you know?" 10. I feel very ambivalent about blogging. I mean, I really want you to read my stories, but I'm mortified to think people might actually try to glean practical advice from my posts. 11. I miss bread and ice cream, but since the kids are GFCF, I don't have the heart to eat that stuff (at least not at home). 1. What's your favorite TV show? 2. Which app do you wish existed but doesn't? 4. With which cartoon character do you most identify? 5. Which is worse, cooking or cleaning? 6. What's your favorite book? 7. What's your earliest memory? 8. Do you like roller coasters (literally, not figuratively)? 9. Are you good in math? 10. What is your pet peeve? Please put a link to your response in the comments! Thanks. As for no. 5 you could also name some actor back from the 80's or so. If you are more familiar with those, that is. And I love that you thought your name was Lid! Haha! Why do you miss bread and ice cream? Are you on some kind of diet for gluten or milk sugar? I would miss bread terribly, too if I could not eat it anymore! Did I know we have the same middle name? Hmm, darn kids replacing my memories with Phineas and Ferb lyrics. I guess I will welcome myself into the "Lynn is my middle name" club. Feeling right at home here. More commonalities: I also swore I would never marry a Japanese man. I'm still trying to figure out how I let that one happen. And, I was terribly homesick during my first trip to Japan in high school, as well. To comfort me, my host parents had a guy from the local video store come to the house and take requests for American movies. My homesick, culture shocked brain cells were dead and all I could think of to ask for was Superman and Gone With the Wind. Not my favorite movies but seeing the guy come back to the house the next day with them in hand cheered me up. My most vivid memory of sibling sabotage was mismatching all of my sister's socks on purpose as I helped fold clothes before a family vacation. At the time, I thought it was the most hilarious, ingenious prank ever. My sister was only 4 or 5 and didn't care but my mom was sure mad at me every time she opened the suitcase. I wish I had a blog so you could tag me... actually I have three, all in French, all rather neglected. Anyway, here goes : Friends, none (I don't have a smartphone), Canada in the winter, Marge Simpson, cleaning, The Egg and I, a bad one, no, no, spelling mistakes, because I love bloggers and I would like to be one when I grow up. By the way, I'm the eldest of four (girls). 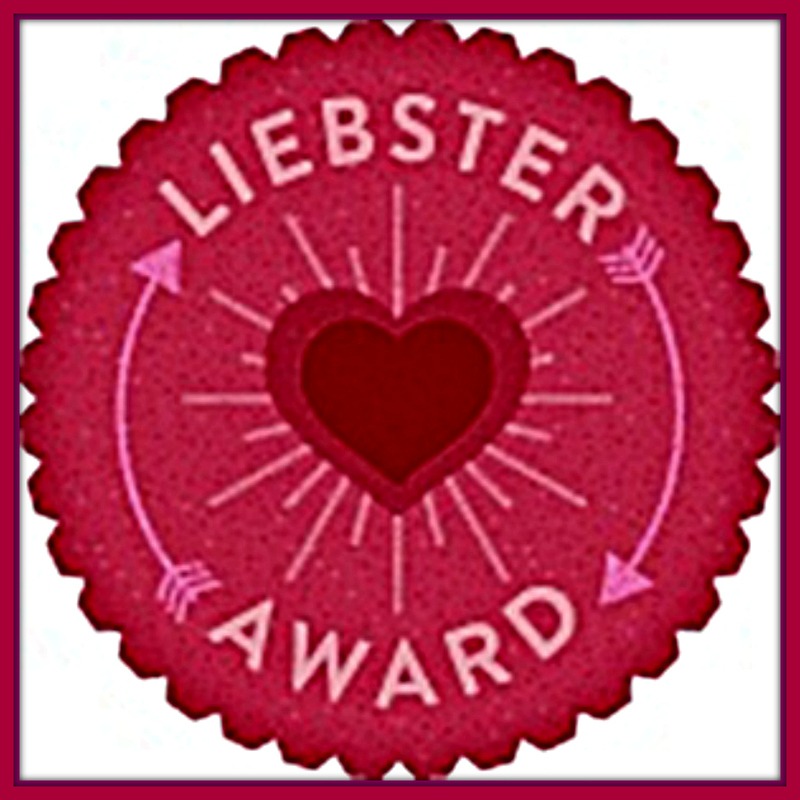 Firstly, Thanks so much for including me in your list of bloggers to pass this award to. Wow! Next, I've been notoriously bad at following up on these these. I have a couple others that I really should respond to as well, so I may wrap all of them up into a post in the near future. I really do appreciate them. Thanks, Viviane! My French is rusty, so it's hard to truly appreciate your blogs! Ken, I knew I sensed a special connection! Your sibling sabotage story cracks me up! Were you born in the 70s? I have a sneaking suspicion that 30% of all girls born in the US in the 70s have Lynn as their middle name. Aw, is that my name up there?!?!?! I am so friggin touched. And congrats on your nomination!!! Next post, I am on it!!! Thank you so much! And #9 is very much a skill! The idea of having to write one scares the bujeezus out of me. You are very brave! Ta Da! Thank you again!! This was really fun! !